From Tony Fletcher, the acclaimed biographer of Keith Moon, comes an incisive history of New York’s seminal music scenes and their vast contributions to our culture. Fletcher paints a vibrant picture of mid-twentieth-century New York and the ways in which its indigenous art, theater, literature, and political movements converged to create such unique music. 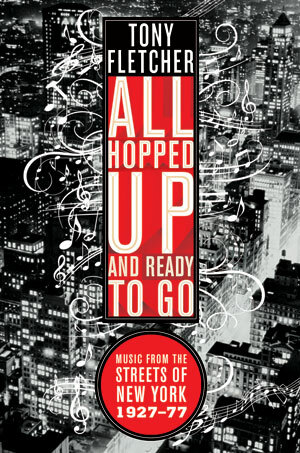 With great attention to the colorful characters behind the sounds, from trumpet player Dizzy Gillespie to Tito Puente, Bob Dylan, and the Ramones, he takes us through bebop, the Latin music scene, the folk revival, glitter music, disco, punk, and hip-hop as they emerged from the neighborhood streets of Harlem, the East and West Village, Brooklyn, the Bronx, and Queens. All the while, Fletcher goes well beyond the history of the music to explain just what it was about these distinctive New York sounds that took the entire nation by storm.